Since this is “Talk Like a Pirate Day” I thought to share with you the story of a real life pirate, who is also a character in my novel, Wind Raven. 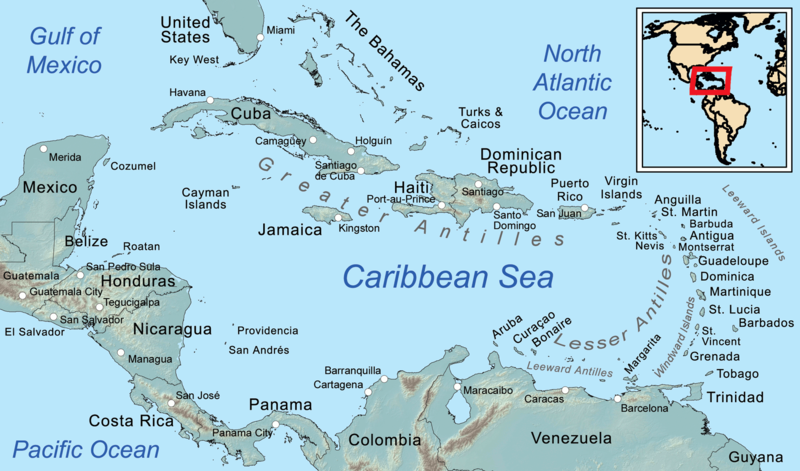 With the end of the War of 1812 and the Napoleonic wars in 1814, an unprecedented wave of piracy swept the American seaboard and the Caribbean when some of the hundreds of captains who were privateers in the wars began preying upon the growing numbers of merchant vessels. 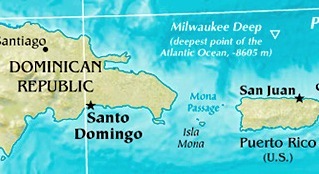 Although some of these pirates, like Jean Laffite, were American, the majority came from farther south and Latin America. Roberto Cofresi was one of them. Born on June 17, 1791 in Cabo Rojo, Puerto Rico as Roberto Cofresí y Ramírez de Arellano, he became Puerto Rico's most famous pirate, better known as “El Pirata Cofresí.” Cofresí's father is believed to have been Austrian, Franz Von Kupferschein, who changed his surname to Cofresí because it was easier for the people of Puerto Rico to pronounce. Just as I have portrayed him in my latest novel, Wind Raven, Cofresi was tall, blond and blue-eyed and wore dangling silver and diamond earrings any woman would covet. Cofresí was educated at a private school under Professor Don Ignacio Venero. He learned catechism and geography, his favorite subject, as well as literature and arithmetic. 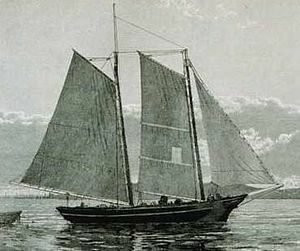 In his book “Cofresi, Historia y Genealogia de un Pirata,” Enriquez Ramirez Brau writes that at an early age, Cofresi sailed the waters of Mona Passage against the advice of his older brothers, who tried to make him give up his maritime adventures. 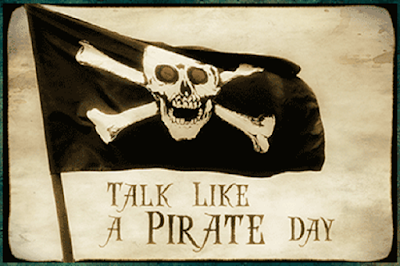 There are many legends about why Cofresi turned to piracy. Some believe it was his desire for independence from the Spanish regime (he is remembered as sometimes giving his prize ships to Simon Bolivar to help the cause of independence in Venezuela and Latin America). Some say Cofresi’s sister was raped by a group of sailors and others say he was slapped in the face by an English captain. Perhaps it was for all those reasons. He began attacking ships in 1818, when he was twenty-seven, going after any merchant ships sailing under flags other than Royal Spain. His first ship was named El Mosquito ("the Mosquito"). In response to his acts of piracy, Spain looked the other way, even encouraging piracy against other nations—at least until 1824, when Captain John Slout of the U.S. Navy and his schooner USS Grampus engaged Cofresi in a fierce battle. Cofresi was captured and bowing to pressure from its allies, Spain executed him. Cofresi’s wife died a year later leaving their 5-year-old daughter Maria an orphan. Cofresi was famous for his generosity, sharing his booty with the poor, becoming a kind of Puerto Rican Robin Hood, idolized and admired by those who benefited. The Puerto Ricans protected him and he had many spies who worked for him as well. In Ponce, it was a rural schoolteacher; in Mayaguez, a canteen waitress; and in Arecibo, the parish priest kept him informed of the civil guard and military activities. It was said that after the boarding of one ship, he severely punished his crew for not showing proper respect for the elderly and the women and children on board. He also looked out for children, often saving young ones taken from a ship and giving them to the care of Catholic priests with money for their care. Some biographers have said he was a revolutionary, a patriot and a pioneer of Puerto Rico’s independence movement. Perhaps it is so for he flew the flag of the Free Republic of Puerto Rico, not that of Spain’s. 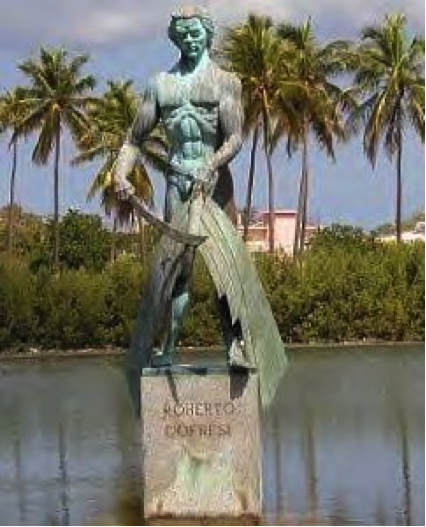 Today there is a monument to Cofresí in Boquerón Bay in Cabo Rojo, and the town of Cofresí, west of Puerto Plata in the Dominican Republic, is named after him. Many poems, songs and books have been written about him for he is now consigned to legend. 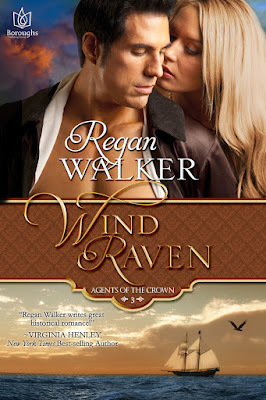 If you want to read a Regency romance that features Cofresi as a character, true to all we know about him, pick up a copy of Wind Raven book 3 in the Agents of the Crown series! On Amazon, Barnes & Noble, Kobo and iBooks. Ordered by the Prince Regent into the Caribbean, English sea captain and former privateer Jean Nicholas Powell has no time for women onboard the Wind Raven, especially not Tara McConnell. The impudent American forced herself aboard, and so she’ll get more than she bargained for: Instead of a direct sail to Baltimore, she’ll join their quest to investigate a rampaging pirate, the infamous Roberto Cofresi. But the hoyden thinks she can crew with his men, and though he bans her from the rigging, Nick is captivated watching her lithe, luscious movements on deck. Facing high seas, storms, cutthroats and the endless unknown, he must protect his ship, his passenger, his crew. But on this voyage, with this woman, there is a greater danger: to his heart. See the Trailer on YouTube! See the book on my Website with thevideo trailer and Barbara Vey interview! You are just so good at history I didn't like it 50 years ago in school but love it now. This was so good thank you Regan! Thanks so much, PT. It means a lot to me to know my readers enjoy the history in my stories.